Content rights specialists BidSlate have secured a partnership deal with VOD platform SoFy.tv, in a 9-title package that includes Bertie Brosnan’s award-winning short film ‘Sineater’. The deal was confirmed at the 2018 Marché du Film at the Cannes Film Festival, with the announcement being made by Roland Rojas, co-founder and president of BidSlate. 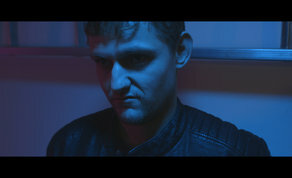 ‘Sineater’ is an Irish Short Film written, produced and directed by Bertie Brosnan. Exploring Morality in a unique way the film begins with a seemingly successful man returning home. He is expecting his Mother but in her place is a somewhat aloof and strange man who offers him a lift him. Once the successful young man enters the car, things turn awry. ‘Sineater’ was featured at a number of international film festivals both in Ireland and abroad. It has picked up awards for its Cinematography, and is currently distributed worldwide by Shorts TV.